Lil Wayne Starting Sports Management Company? 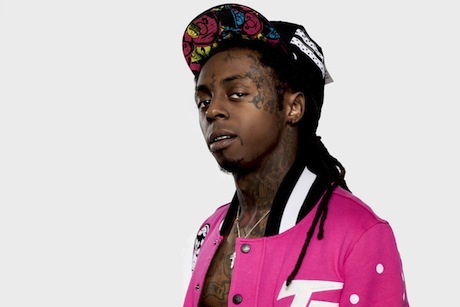 Young Money millionaire Lil Wayne is apparently looking to make a milli off of the sports world, with reports coming in that the rapper/entrepreneur is starting up his own management company. Already, there's been speculation that Weezy has brought aboard famous footballer Cristiano Ronaldo for the venture. While the pair are already pals, a source told TMZ that the rapper will handle marketing, endorsements and more for the world famous Portuguese player inside the U.S. It's further pointed out that Lil Wayne's rumoured business has ties to Polaris Sports, through which Ronaldo's agent Jorge Mendes is connected. Potentially adding more fuel to the fire, a recent tweet from Ronaldo saluted the YMCMB team in the most bizarre fashion, with him, the Prime Minister of Japan and other Japanese politicians throwing up a Young Money hand gesture. "My homie Christiano [sic] Ronaldo got the President of Japan throwing up Young money! He too real 4dat! Young Muulah baby!" Wayne replied over Twitter. Whether or not this is just some playful palling around, or Wayne working himself into the sports game has yet to be confirmed. He wouldn't be the first MC to do so, with Jay Z having started his Roc Nation Sports in 2013. That particular roster features the likes of Oklahoma City Thunder basketball wiz Kevin Durant, WNBA player Skylar Diggins, New York Jets QB Geno Smith and more. UPDATE: Ronaldo has now denied the move over Twitter. There have been news about changes on my management team - it's all false, and I can assure the team is - and will be - the same.